Replacing old, poor performing windows and doors in this Victorian property is a project currently being undertaken by Mrs McCaffery. 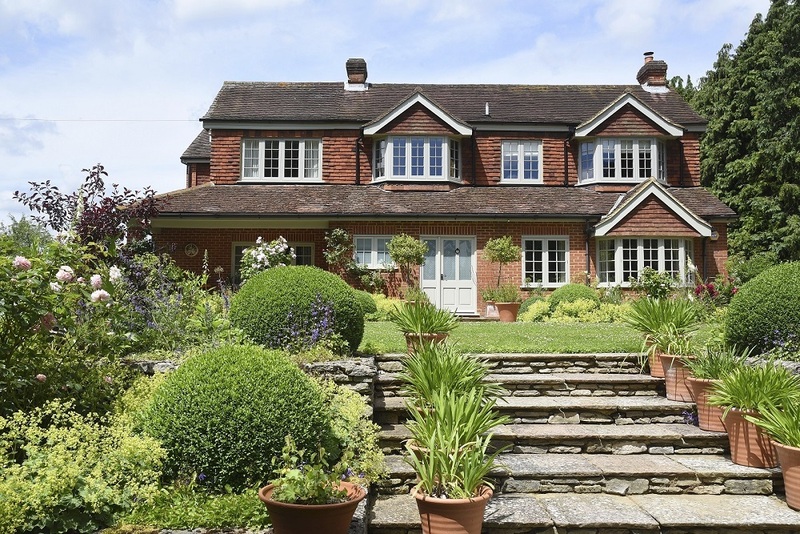 “At first, I felt a little guilty taking out the original windows but then thought to myself, given the opportunity, what would a Victorian prefer? And with that in mind, I had made my decision”. 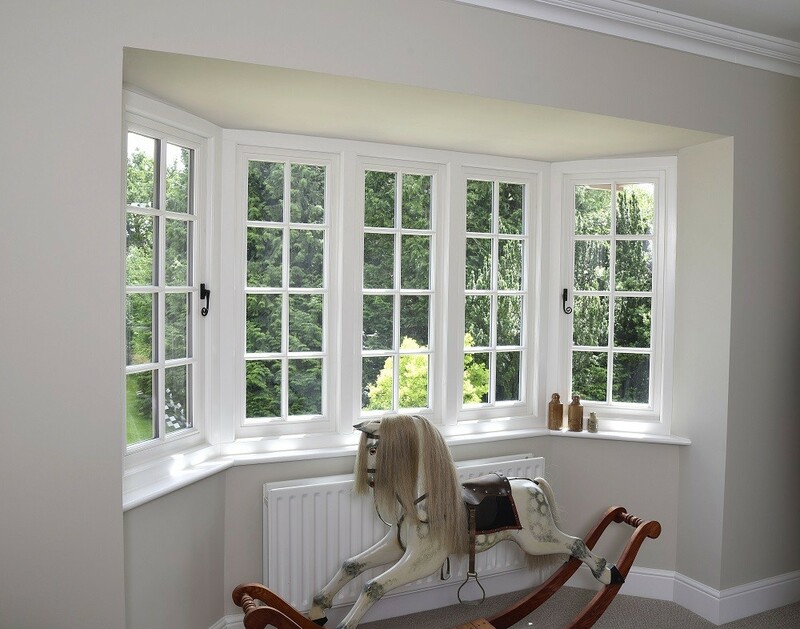 Flush casement windows have been installed on the first floor of the property including two bay windows and all have a dual colour finish, with ‘French Grey’ applied externally and ‘Off-White’ internally. 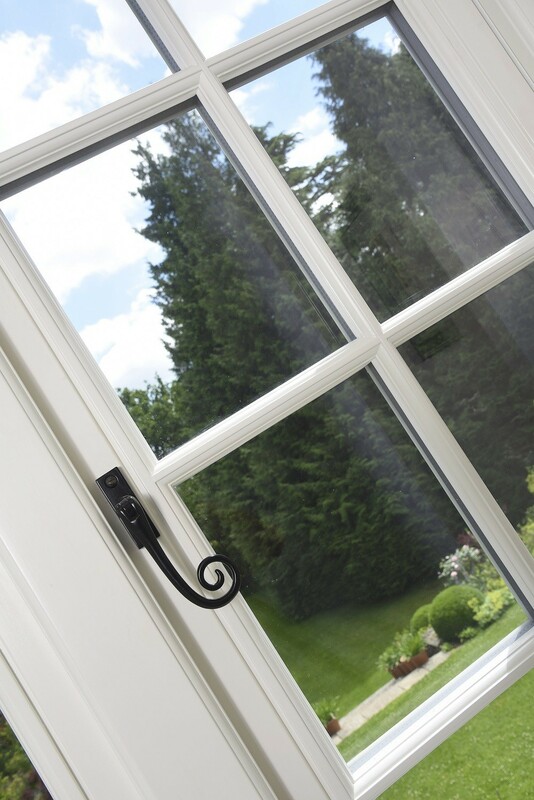 These feature Black Monkeytail ironmongery and 18mm astragal glazing bars throughout. Both the entrance door and stable door at the rear of the property also have the same dual colour finish and feature Black Cottage handles. Flush casement window finished externally in ‘French Grey’ with 18mm astragal glazing bars. Delighted with the appearance, the existing ground floor windows have now been painted to match the ‘French Grey’ finish of the first-floor windows. “As soon as the first window went in, I was delighted so I decided to match this colour with the windows on the ground floor”. 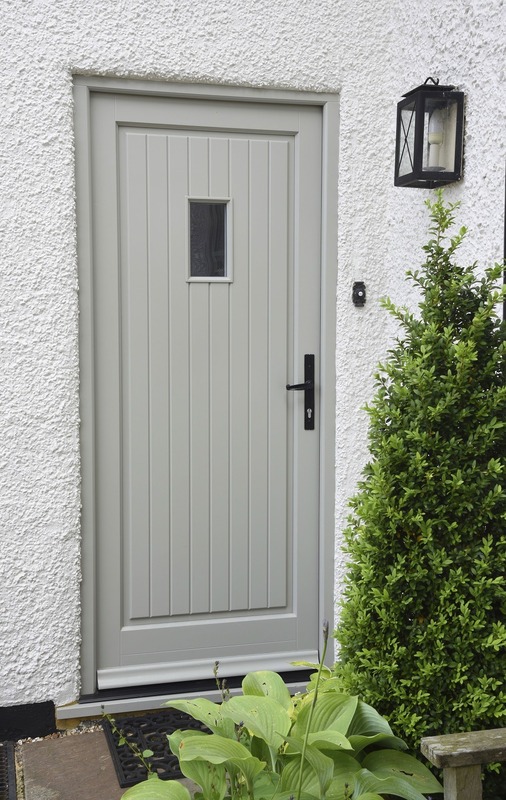 Thorncliffe stable door dual finished in ‘French Grey’ externally and ‘Off-White’ internally with Black Cottage ironmongery. With the first floor of the house now complete featuring products from Timber Windows, Mrs McCaffery tells us of her plans for the rest of the house. 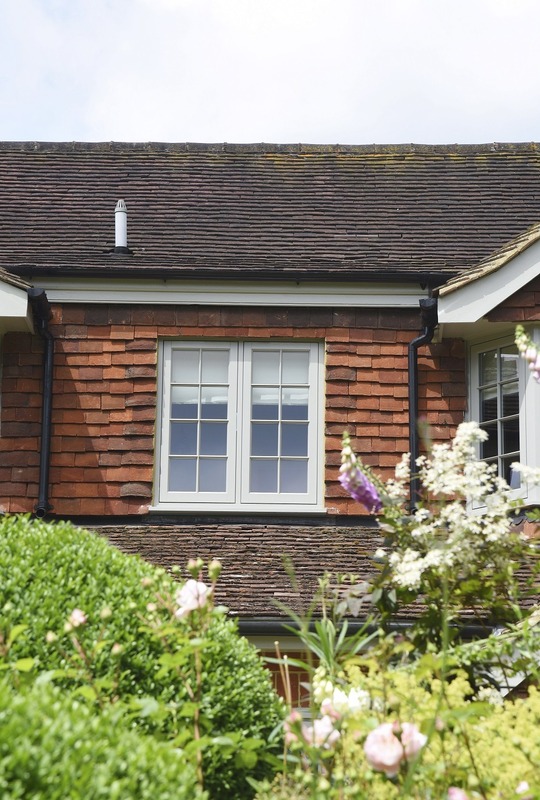 “The kitchen extension had been done before I was aware of Timber Windows but I will be changing these now as the Timber Windows products are far superior”. “The windows are gorgeous and I love them. I will be back to the replace the other windows I didn’t do first time around”. Mrs McCaffery says with a smile. Flush casement windows in a bay finished internally in ‘Off-White’ with 18mm astragal glazing bars and a Black Monkeytail handle. 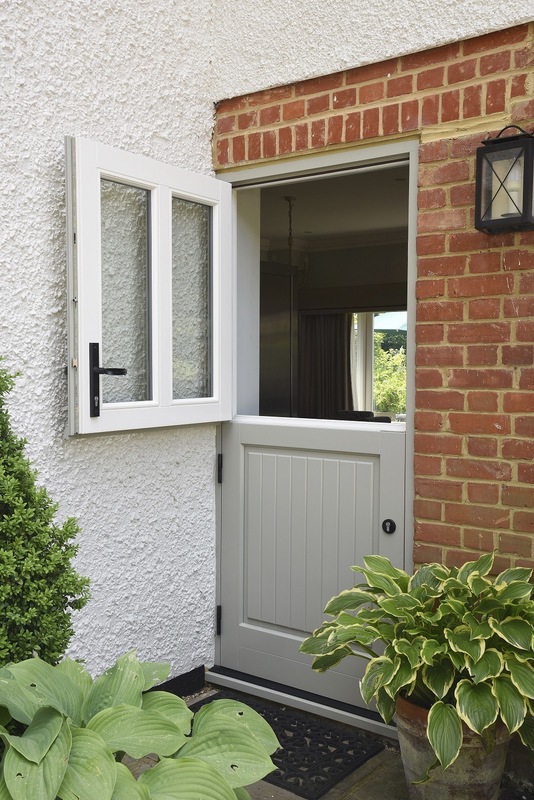 Flush casement windows finished externally in ‘French Grey’ with 18mm astragal glazing bars. Flush casement window finished internally in ‘Off-White’ with 18mm astragal glazing bars and a Black Monkeytail handle. Staverton entrance door finished externally in ‘French Grey’ with Antique Black ironmongery.